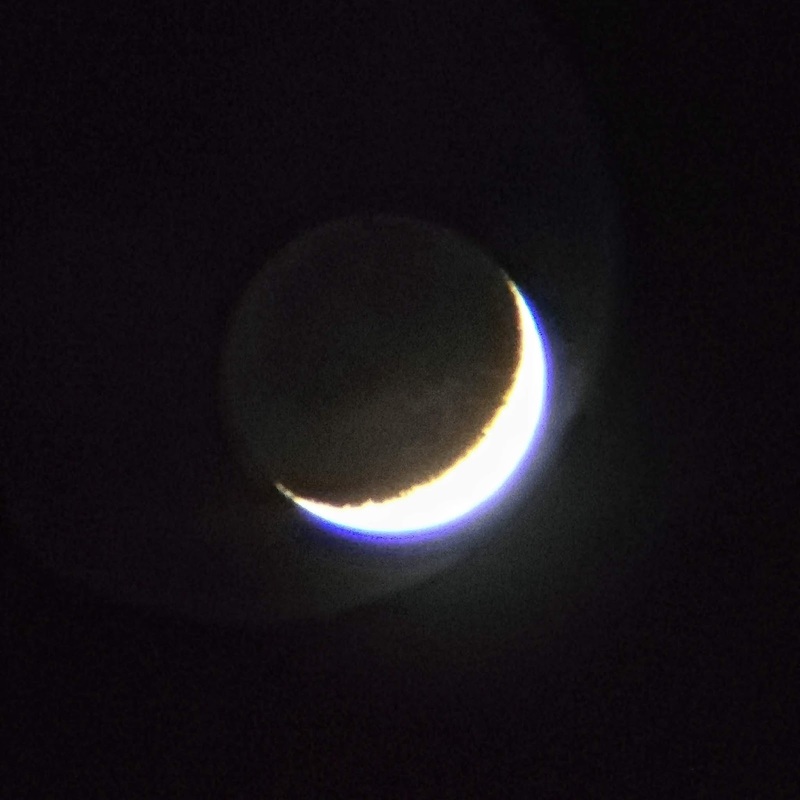 Ridiculously﻿ windy out there tonight thanks to Storm Eric but the crescent moon was up over the rooftops and I had to have a go! First at 44x, good clear view with a little CA. Anyway I went back to 44x and got a photo with my phone hovering over﻿ the ep-not very easy at the best of times! 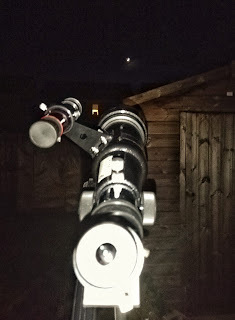 The﻿﻿ sky was clear, so I thought I'd get the little scope out and have a skeg at the sky. I knew that Mars was out there somewhere and having confirmed its location with Skyview I got a look at it. At 44x its just an orange star. I switched to the 4mm from my daughter's scope (100x) but its a terrible optic. It can stay in the bag. 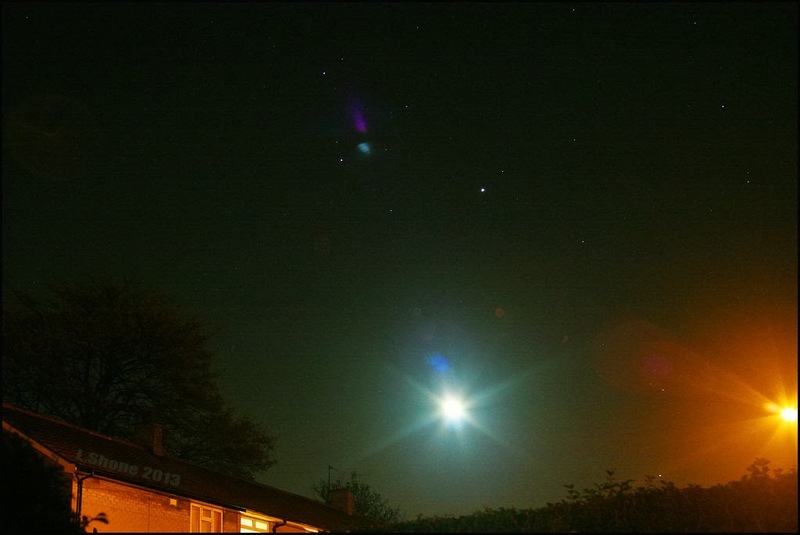 I noticed Sirius 'rising' above the housetops and got a quick look in before turning to Aldebaran in Taurus, a star that﻿ presents itself very similar to mars! It was soon time to go indoors, plus my hands were now getting very cold (it seemed mild when I came out) and I got a fuzzy view of M31. Tried to focus with﻿ the 4mm, just not happening. But at 44x it was like seeing an old friend. Still fuzzy and grey but its the knowledge of what you are looking at. Never gets old. Before wrapping up I tried to find the open custer Kemble's Cascade near Cassiopeia. 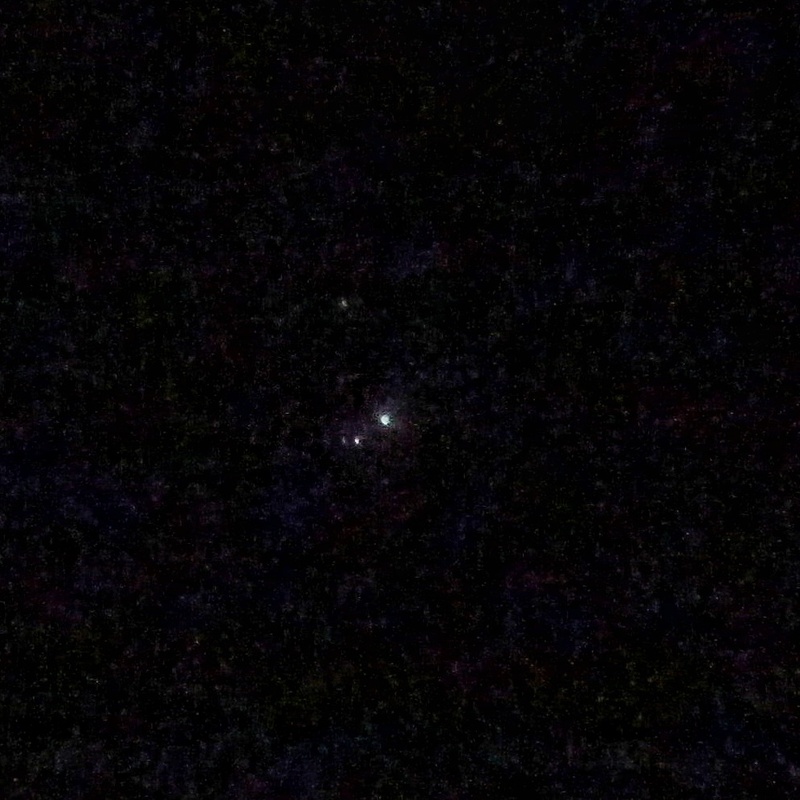 I think I got it in binos, tho the stars all looked white. 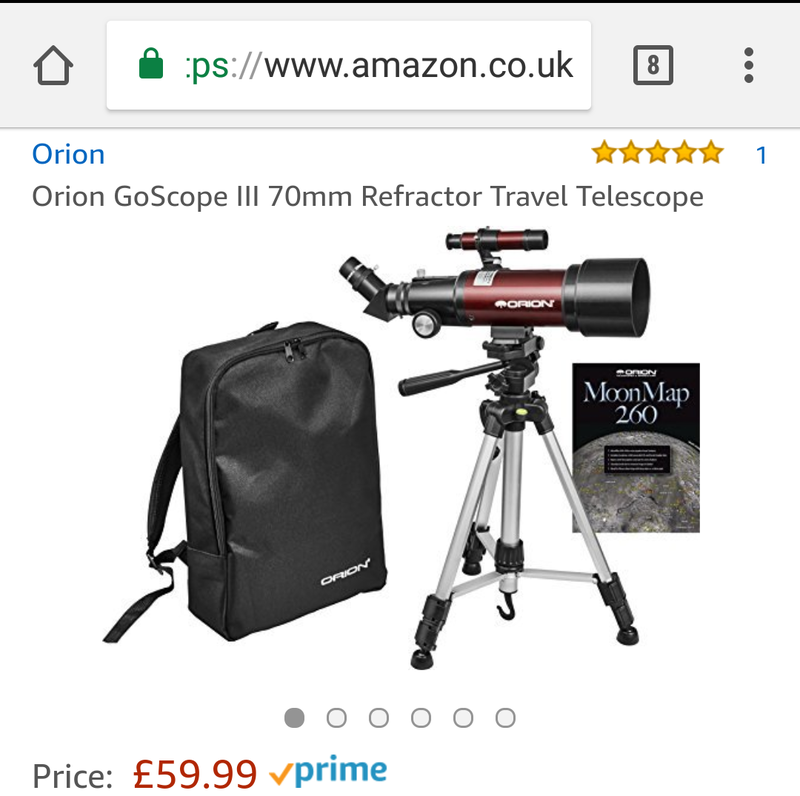 No chance with the scope, its just too far ﻿overhead. Plus my fingers were about to drop off﻿ and the kids needed seeing to. Overall a good nigh﻿t out! 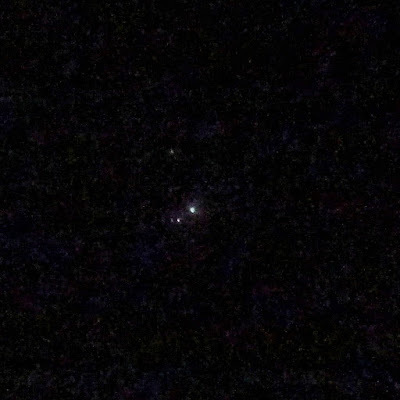 Sirius in Canis major is a very bright, flashy star, and I wanted to show this in a video, so I defocussed the telescope at 44x. Saw the Orion nebula through the scope at 44x. When I saw it I had to go get the kids. They couldn't get down quick enough! Grey fuzzy patch, like cotton wool with stars in the middle. This photo, taken with my phone to the eyepiece, shows a little colour! 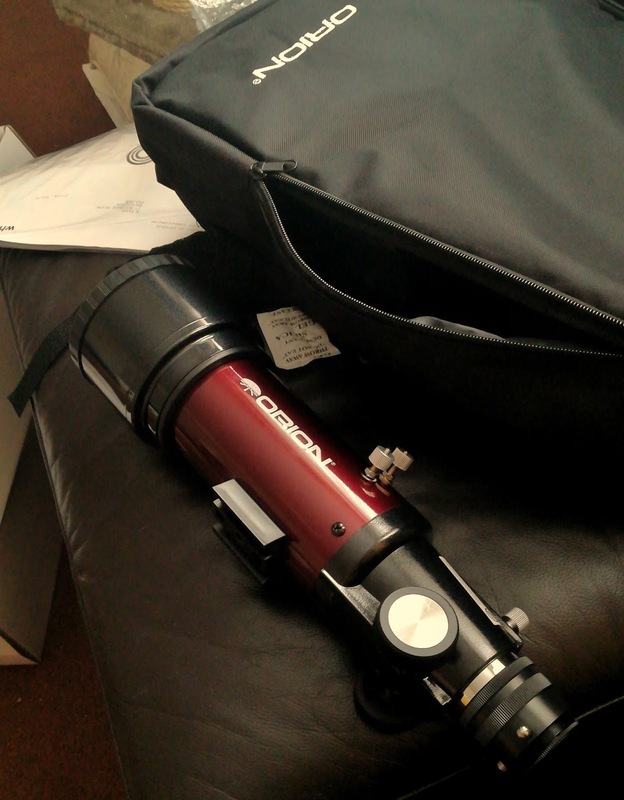 Well I got a new scope (very early Father's Day pressie). 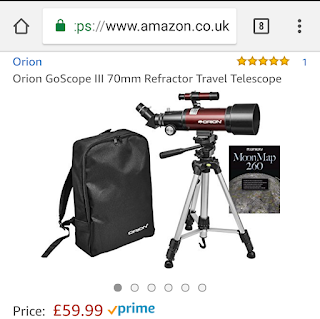 Its an Orion GoScope III Travelscope, and it all goes in that back pack! Its a 400mmfl/70mm objective scope, f5.7, and comes with 2 Orion Kellner eyepieces, 20mm and 9mm and a star diagonal. The finderscope is 5x24, inverted image(of course) with a cross hair. Not had a proper chance to try it yet but I have aligned it with a tree, seems to work ok. The lenscap is weird, comes in 2 parts, a small cap in the centre and a large overall cap. Strangely it works with the little cap still on, doesn't seem to vignette. Anyway here it is. 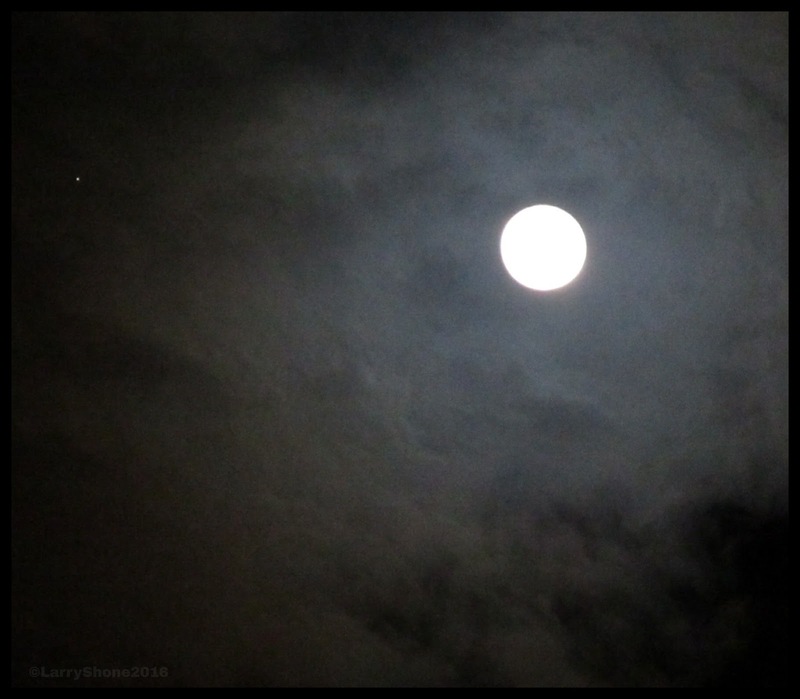 Took this at the end of February, full moon in clouds, Jupiter to the left. Taken on my Canon IXUS in night mode, handheld. I took this photo last night in the front garden. The moon, nearly full, had risen recently and I knew Jupiter would be visible too so I set off out into the evening air with camera on tripod.